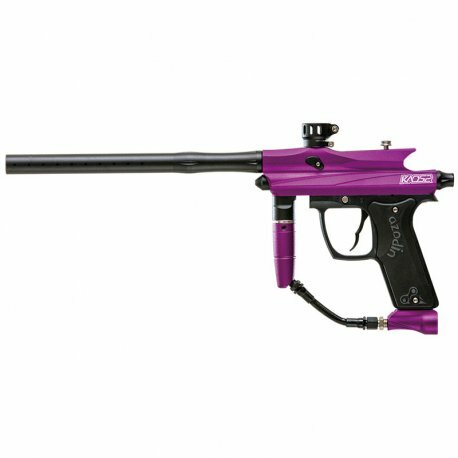 The Kaos 2 is a new and improved, modern rendition of Azodin's signature Kaos Series markers. 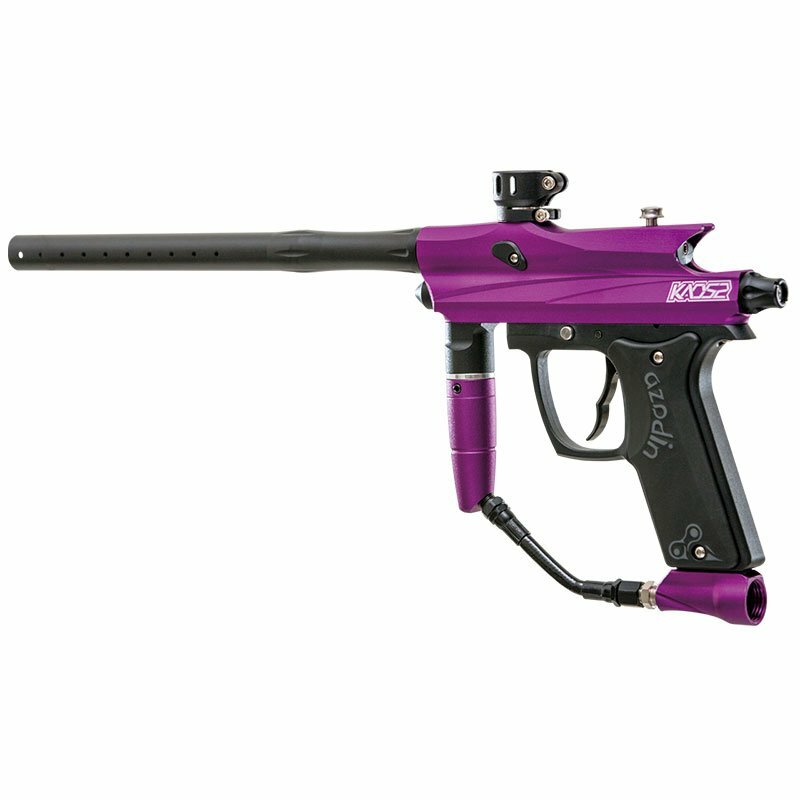 The Kaos 2 offers improved ergonomics compared to its predecessor and maintains the durability and simplicity users have come to expect on the field. The receiver has been streamlined for a light weight feel offering improved accuracy when sighting potential targets. Along with the new 45 degree gas-thru grip, which offers improved handling during firefights, the Kaos 2 features Azodin's latest parts which include a screw-lock feedneck, the slim dovetail ASA, and a 12'' multiphase mirror honed barrel. 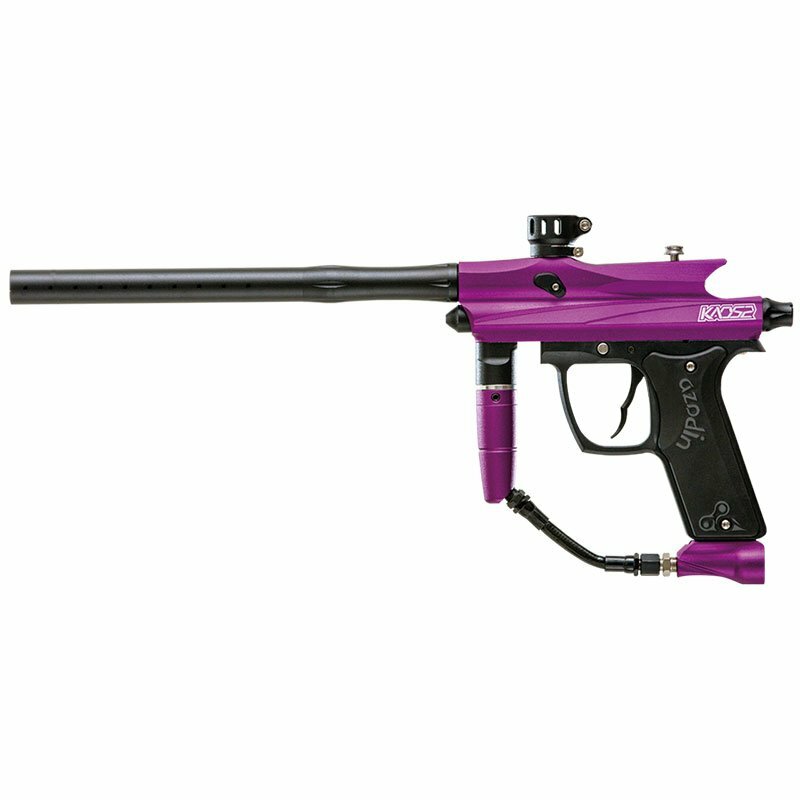 The Kaos 2 combines modern aesthetics with proven reliability for a perfect choice on the paintball field.